Baltimore Woods Nature Center is committed to protecting your privacy. By using Baltimore Woods Nature Center’s website, you consent to the information collection described in this statement. Baltimore Woods uses Google Analytics to collect anonymous demographic information, which is not unique to you, such as your ZIP code, age, gender, preferences, interests and favorites. There is also information about your computer hardware and software that is automatically collected through Baltimore Woods’ Google Analytics account. This information can include: your IP address, browser type, domain names, access times and referring Web site addresses. This information is used by Baltimore Woods Nature Center to provide general statistics regarding use of our website, and as a method for improving the quality of our services. In addition, we may collect check numbers, credit card numbers, expiration dates and cvv security codes in order to process transactions. We use a Secure Server for collecting personal and credit card information. The secure server layer (SSL) encrypts (scrambles) all of the information you enter before it is transmitted over the internet and sent to us. Furthermore, all of the customer data we collect is protected against unauthorized access. Baltimore Woods Nature Center is contracted with Key Bank Merchant Services which uses Elavon to protect your credit card data. Does Baltimore Woods website use “cookies”? One of the primary purposes of cookies is to provide a convenience feature to save you time. The purpose of a cookie is to tell the web server that you have returned to a specific page. For example, if you want to register for a program or create a member profile on Baltimore Woods Nature Center’s site, you are directed to a Doubleknot web page where cookies are used to help Doubleknot to recall your specific information on subsequent visits. This simplifies the process of recording your personal information the next time you visit our site. You have the ability to accept or decline cookies. Most Web browsers automatically accept cookies, but you can usually modify your browser setting to decline cookies if you prefer. If you choose to decline cookies, you may not be able to fully experience the interactive features of our site. Baltimore Woods Nature Center will not sell, trade, rent or share your personal information with any third parties. The only exceptions to this will be: (a) in any circumstance where disclosure may be required by law, such as if Baltimore Woods Nature Center is compelled to disclose information due to a valid law enforcement request or subpoena. (b) to protect and defend the rights or property of Baltimore Woods Nature Center; and, (c) to act under exigent circumstances to protect the personal safety of users of Baltimore Woods Nature Center. While visiting our site, you may encounter links to other websites Please be aware that Baltimore Woods Nature Center is not responsible for the information practices of these external websites or the organizations that host these websites. Comments concerning the websites of external organizations should be directed to the external organizations named on those websites. 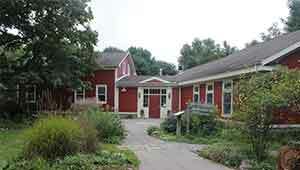 Baltimore Woods Nature Center values your privacy and your business. We strive to provide you with the best customer service and technology to give you the most efficient and safe online experience. If you have comments about this website or its content, please direct your comments to stacy@baltimorewoods.org.